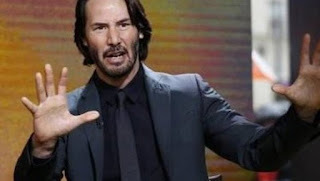 It's a good thing Keanu Reeves knows Kung Fu! The Los Angeles Police Department confirmed to E! News, last Friday, Sept. 12, officers responded to a burglary call at The Matrix star's Hollywood Hills home. Officers detained one woman who was taken to a medical facility for further evaluation, the LAPD confirms, although they could not confirm whether the woman was still in the hospital or if she had any priors. A trespassing report was made, but no property was taken. Fortunately, LAPD confirmed to E! News that no injuries were reported, either.